Whoa, very interesting. 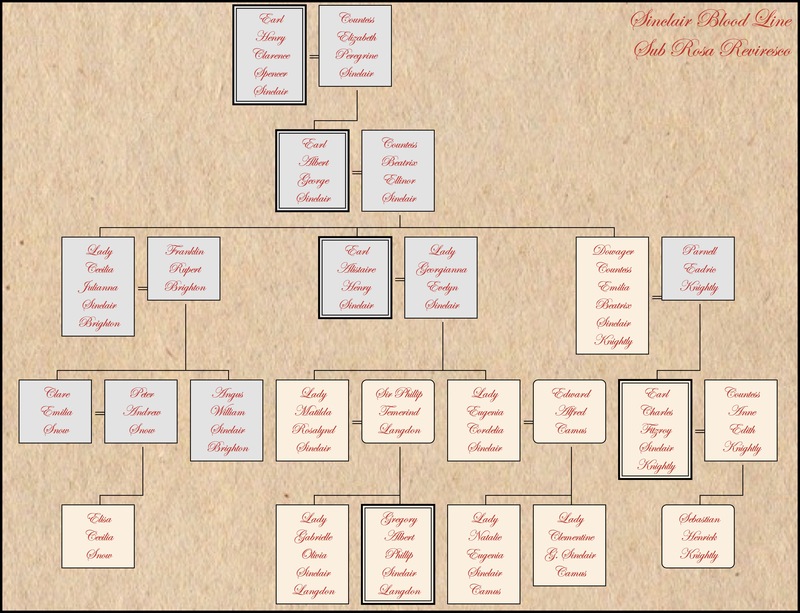 A lot of nobility in the Sinclair bloodline. The names left me speechless; like reading a guest list for some haughty society event straight from an British novel such as Sense and Sensibility. Did you enjoy coming up with those names? Must have taken hours putting the bloodline together. Very impressing. And the name: Sub Rosa Reviresco. Sounds very dignified. great job!